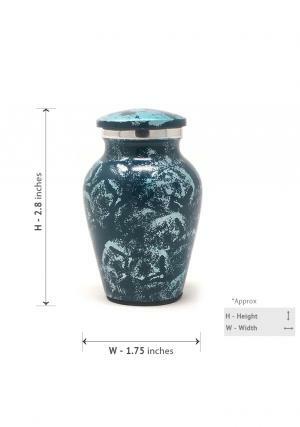 Small Butterfly Heart Keepsake Funeral Urn. 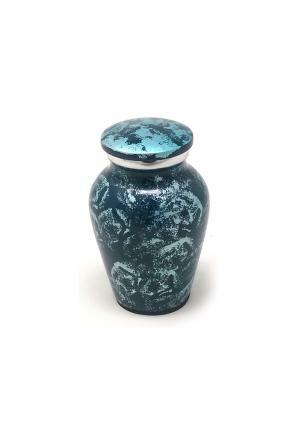 Fiery Mist Brass Keepsake Cremation Urn for Ashes. 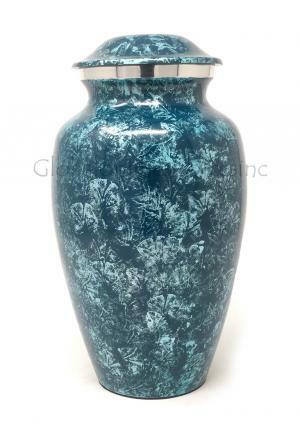 Beautiful urn hand crafted from high quality aluminium metal with work from skilled professionals . 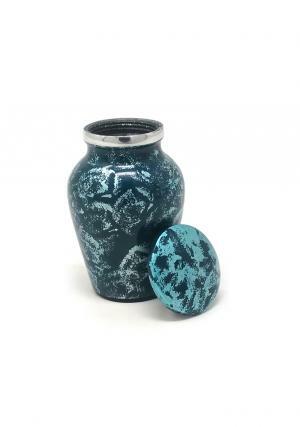 Keepsake aluminium blue urn ashes decorated of blue and sliver glasy finish . 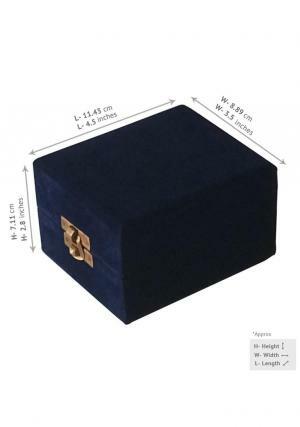 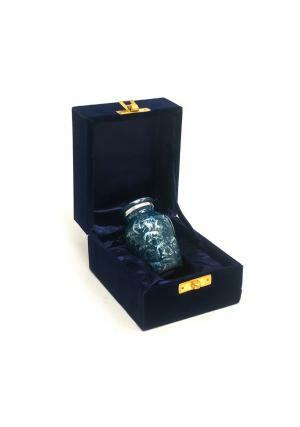 The neck of the gorgeous adult blue funeral ashes urn is printed with silver finish and labelled screw threading for a tight closure of the ashes inside the urn to secure the last memories.